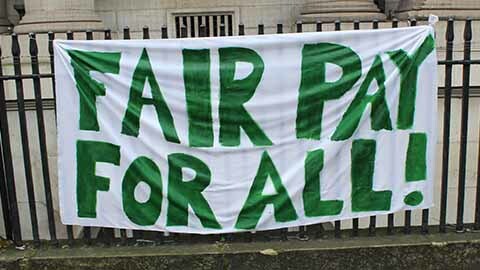 Pay & Equality Ballot – Can the employers afford a pay rise? 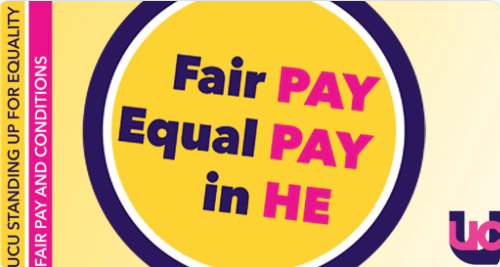 Voting is now open to decide whether UCU members will take strike action (and action short of strike) in support of our claim regarding pay, equality, workloads and precarious contracts. You should receive your ballot paper (in the post) by Friday 18 January. So what are the issues behind the dispute? Real-terms pay has fallen 21% (RPI) since 2009. HE wages lag far behind national average, and behind public sector pay. The national claim seeks a 7.5% raise to recover part of the ground lost since 2009 (the year of our last above-inflation raise). At Goldsmiths, 61% of teaching staff are on insecure contracts. The national claim seeks institution-specific action plans to address employment security. The gender pay gap at Goldsmiths is 7.45%as compared to the sector median of 12.2%. So while Goldsmiths is not quite as terrible as the rest of the sector, male colleagues still earn substantially more than women. The national claim seeks a sectoral commitment to close the gender pay gap by 2020. CAN THE EMPLOYERS AFFORD A PAY RISE? The sector is facing significant challenges as a result of a decline in the number of 18 year olds and the uncertainties of Brexit. Yet it still managed to accumulate an overall surplus in 2017 (the last recorded figures) of £1.1 billion while income rose nearly 3% to just under £30 billion – an increase that was certainly not passed on to staff. Capital investment, i.e. investment in new buildings and facilities, increased by 8.6% so there must be a lot of shiny new buildings out there. According to the House of Commons Library, the six largest surpluses in our sector have come in the last eight years so you would have thought that the employers might have put some money away for a rainy day. Staff costs as a proportion of total income in the sector, have declined from 58% in 1995 to 55% in 2017 so tuition fees received in the period appear not to have been funnelled into staff salaries. Meanwhile, in that same period, average income per institution has risen from £55 million to £218 million with spending on academic departments falling from 42% to 38% of the total while spending on administration and central services has increased from 12% to 16%. The sector can’t be that badly off if it can be set to offer pay packages of £830,000 a year to the VCs of Exeter and Huddersfield! CAN GOLDSMITHS AFFORD A PAY RISE? According to the independent review of Goldsmiths financescarried out by THP Chartered Accountants for the UCU, the College is in a robust position. The College has brought in £52 million since 2011-12 with a ‘cash in the bank’ balance of almost £30 million at the end of 2017 and healthy annual surpluses (with the exception of the last year where there was a small dip). The College has used most of these surpluses on buildings and IT spending approximately £66 million between 2011 and 2017. Moreover, if the money is there to provide a ‘competitive’ salary for the new Warden, why should this principle not be applied to existing staff? These are uncertain times financially but we must end the assumption that staff have to personally bear this uncertainty through low pay and precarious contracts. What is more important to the future of Goldsmiths than making sure that the staff on whom the university depends have fair pay and conditions? It’s time the employers joined us in fighting the marketisation of universities that has led to this situation, and stop passing down poor pay and conditions to those who do the core work of the university and who can least afford it. If you want to get involved in helping to get the vote out, please get in touch by replying to this email. Please also get in touch with any queries or questions you may have. UCU department reps will be in touch with you about department wide meetings for union members to discuss the ballot over the next two weeks. You may also be interested in our UCU workshop ‘Strike Angst, Strike Care – Dilemmas we face when we go on strike’, Weds 30 Jan, 1-3pm, RHB 304a.